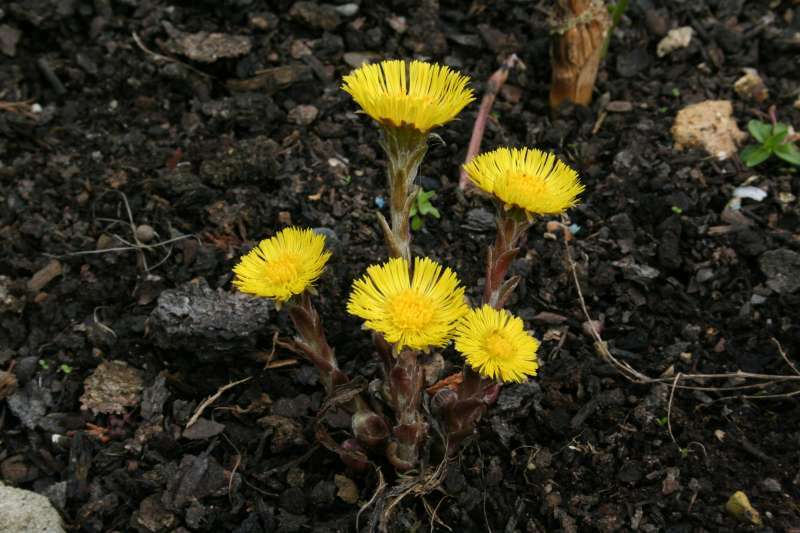 Colt's foot is unusual in that the flowers appear before the leaves. There are no similar flowers around in early spring so it's extremely easy to identify. It tends to grow abundantly where it is present, usually on waste ground such as pits, cliffs, landslips, clay, dunes, scree etc. 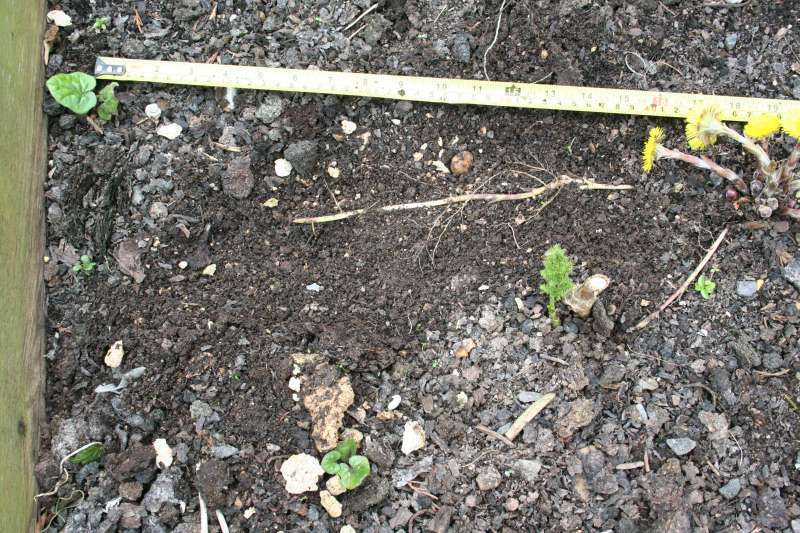 The first photograph is of the flowers of a plant that appeared in our vegetable patch in spring 2009 (picture taken 12 March 2009). It's certainly pretty enough to encourage as a garden plant! The flowers last several days, but only opening on bright days, closing again when dull or at night. 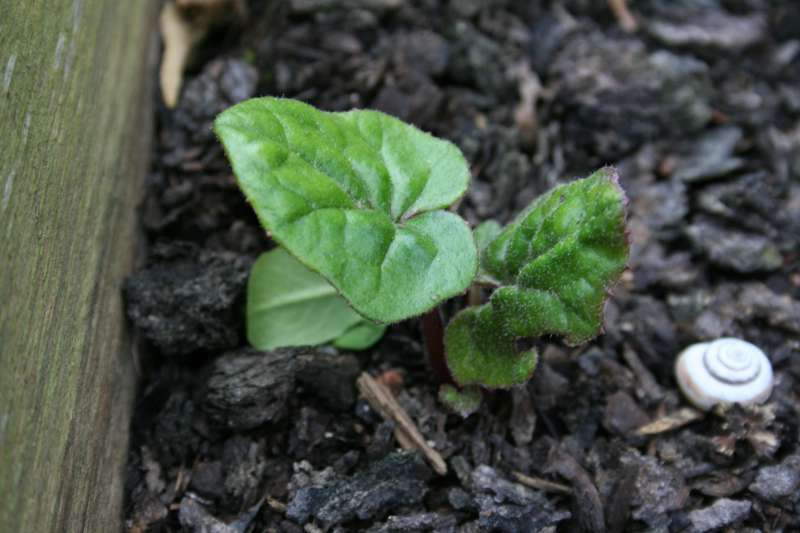 The second was taken 2 days later and shows the very young leaves, at the stage they are good for a spring salad. The very young leaves have a good crisp texture and, to my taste, a mild flavour. My wife said they were a little bitter! The curious fact here is that the leaves appear remote from the flowers, as it they were not the same plant! The plant propagates by runners and the leaves appear at the end of the runners, so colt's foot is quite invasive and soon forms a patch. Photograph 3 shows the flowers and the leaves some 18 inches away from the flowers. The soil has been scraped away so that the runner can be clearly seen. At bottom is visible another bunch of leaves: the runner to these can also be seen. During our wine-making days we made Colt's foot flower wine, but it was too resinous for our taste. Page first published 14th March 2009.